For Sale (Or For Free) One larynx. Two years old. In nearly mint condition. Capable of high decibel, high-frequency noise emissions. May violate FCC standards for acceptable volume of whining. The whining. It’s…oh, god…its so horrible. He whines when he wakes up, before I’ve had any coffee. He whines when we get dressed, he whines about what to have for breakfast, he whines when the metro train pulls away after we get off it. He whines that he wants daddy when were on our way home. He whines at bedtime, before I’ve had any wine. He whines about every single solitary detail of life. I would say 80% of my interactions with my child are whine-centric. The other 20% are me answering the question “What’s that noise?”. The whining has to stop. Or I need to invest in the kind of ear-plugs guys who work on airport runways wear. To get an alternate take on how to handle the whining I consulted a panel of experts. Namely my book club. All of us have 2 year olds at home, which is why we like to meet up periodically and drink and pretend like we’re going to talk about a book when everyone knows we’re just going to drink and talk about our kids. I swallow hard, nod, and ask for more wine. Because the Experts agree. Metro etiquette trumps operant conditioning. I can’t refuse to acknowledge the whining because it will escalate and C. and I will be forcibly ejected from the train and left to stumble home on our own steam. Instead, I must capitulate. I must let him win. I must teach him that where there is whining, there will be fruit roll-ups. Or games on my iPhone. Or his very own space ship. Because he’ll start asking for bigger and bigger things knowing that he’ll get them as long as we’re on the metro when he asks. 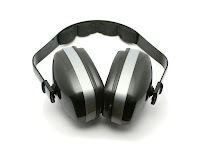 Wanted: Some of those ear-plugs that the guys who work on airport runways wear. ← I Win, I Win, I Win! Have you tried playing "I Spy" on the Metro? We started that in the car when our kids were about two. A big spoon of peanut butter might work too. It's hard to whine when your tongue is stuck to the roof of your mouth. ha ha for sale. I always thought a mute button would do the trick, but I never seem to find the right one. I think I have blocked out the terrible-twos and threes (which were worse!). I might have blocked out the 4's, 5's, and 6's too. It's all a blur.